Harry Belafonte with Petula Clark on her 1968 TV show. In 1968, British pop singer Petula Clark already had a string of top hit records, including, most famously, “Downtown,” a recording that had sold three million copies in America alone. It was the No. 1 song on the U.S. charts in January 1965. “Downtown” was the first of fifteen consecutive Top 40 hits for Clark in the U.S. Among others were: “I Know a Place”, “My Love”, “A Sign of the Times”, “I Couldn’t Live Without Your Love”, “This Is My Song,” and “Don’t Sleep in the Subway” — all in the 1960s. In early 1968, NBC invited her to host her own TV special in the U.S. Black singer Harry Belafonte was invited to perform on the show and also to join Clark in doing a song or two. Harry Belafonte by then was a well known Jamaican-American musician and actor, who had helped make Calypso and Caribbean music popular throughout the world with his singing in the 1950s. Petula Clark shown on a 1960s album cover. Click for her 'Ultimate Petula Clark' album (2003), remastered with 21 songs. Belafonte was known for a number of songs, especially the “Banana Boat Song”, which include a famous “day-o” lyric throughout. Belafonte was also known for his support of civil rights and humanitarian causes. He was an early supporter of the civil rights movement in the 1950s and one of Martin Luther King’s confidants. He provided financial support for King and his family, and bailed King out of jail when he was arrested in Birmingham, Alabama during a demonstration. Belafonte had also raised thousands of dollars to release other imprisoned civil rights protesters. And he supported voter registration drives, helped organize the historic civil rights March on Washington in 1963, and sang for activists in the summer of 1964 in Greenwood, Mississippi. But in early 1968, Belafonte was in his role as an entertainer, about to appear on television in a guest slot to sing on Petula Clark’s TV show. Harry Belafonte and Petula Clark in their ‘controversial’ touching scene that one Chrysler official wanted removed from the performance. During a taping of the show in March 1968, while singing a duet with Belafonte titled “On the Path of Glory”, an anti-war song that she had composed, Petula Clark innocently and naturally touched Belafonte’s arm toward the end of the song. Doyle Lott, a vice president from Chrysler, the show’s sponsor, was present at the taping. Lott objected to the “interracial touching” and feared the brief moment would offend Southern viewers — this at a time when racial conflict was a major issue in the U.S. Lott insisted they substitute a different take — one with Clark and Belafonte standing well away from each other. But Clark and her husband, Claude Wolff, the executive producer of the show, refused. They destroyed all the other takes of the song, and delivered the finished program to NBC with the touching segment as part of the show. Clark, who had ownership of the special, told NBC that the performance would be shown intact or she would not allow the special to be aired at all. Meanwhile, at Chrysler, by March 10, 1968, Doyle Lott was relieved of his responsibilities. Harry Belafonte & Petula Clark during 1968 TV performance. The Clark-Belafonte-Chrysler incident soon made the news, as American newspapers and magazines reported on the controversy. The press stories, however, only heightened viewer interest in the show. 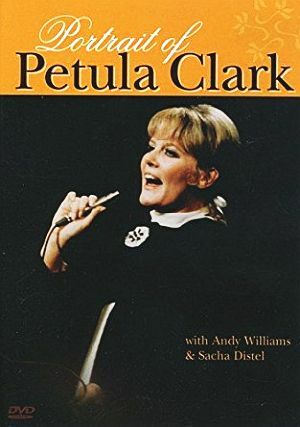 Advertising for the Petula Clark Show ran all across the country, with some local TV guides featuring Clark and Belafonte on the cover. The show was broadcast on April 8th, 1968 with Clark doing several numbers on her own as well as Belafonte doing several on his own before they sang together. It marked the first time a man and woman of different races exchanged physical contact on American television. When the show finally aired, it received high ratings and critical acclaim. Cover of weekly TV program guide from the ‘Independent Star-News’ of Pasadena, CA showcasing ‘Petula Show’ with Harry Belafonte, April 1968. Reviews of the show were mostly positive and many quite laudatory. Wade Mosby of the Milwaukee Journal, writing on April 3rd, described the show as “a steady pleasant hour of song,” calling Clark a “gifted British import,” equally at home with rock and roll and a broad range of ballads. He also mentioned the “celebrated touching incident,” calling it a “friendly gesture” that “would have gone unnoticed by most viewers” had it not been for the advance press coverage it received. Petula Clark, performing one of her songs. …A stylish, sophisticated musical hour with a nice contemporary flavor, excellent sets and a star who can sing like a dream. That just about sums up Petula Clark’s first American TV special on NBC last night. Ironically, this was the highlight of the hour and Belafonte never showed off to such advantage. How unfortunate that anything should have marred this otherwise flawless program…. In the wake of the incident, there were a number of news and opinion pieces that appeared in the national press, including a piece in the New York Times by Belafonte himself. Most of these pieces focused on the issue of racial discrimination in the entertainment industry and beyond. – Harry Belafonte The account executive for the sponsor of the show saw the touch and said that he was violated by it. He did not want it to go forward, that it would upset Southern viewers, and that he wanted that shot struck from the [tape]… he wanted it edited out. Petula Clark had the rights to her show, and they called her to tell her quietly what had happened, why…they were having difficulty… [A]nd then she told me what the problem was, and she wanted to know, how did I want to handle it? And I told her we were in a very peculiar place at that moment. Here we were, getting on television for the first time, seeking to have black images put in positive ways on television, and that, certainly, to raise a question at this time would not only frighten other people but, perhaps, even cause her — her show to be suspended, and that I would defer to her. And she said, “I will go any way that you want to go, Harry.” And I said, “Well, I’d like to take ’em on.” And she said, “Well, then let’s do that.” So we took it on, and the press carried a lot of stories on the subject. She survived. The show did very well. Her ratings went up, and she stayed on television for a very long time. Petula & Harry during the show. In September 2008, forty years following the broadcast of the show, Petula Clark and producer Claude Wolff joined moderator Midge Woolsey of WQXR at the Paley Center for Media in New York City to revisit the incident and discuss its impact. There is also an April 2008 on-camera interview with director/producer Steve Binder about the history of The Petula Clark Show and the Belafonte incident conducted by the Archive of American Television Blog. This interview provides some additional perspective on the show and additional behind-the-scenes objections to Belafonte’s involvement in that show. 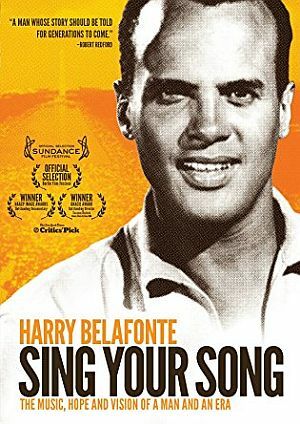 Harry Belafonte documentary profile, "Sing Your Song" DVD. "Portrait of Petula Clark," DVD. Robert E. Dallos, “Incident at TV Taping Irks Belafonte,” New York Times, Thursday, March 7, 1968, p. 87. “Belafonte Reports Sponsor Objected to Petula’s Touch,” Washington Post, March 7, 1968, p. D-24. “Belafonte Charge of TV Discrimination Denied,” Los Angeles Times, March 8, 1968, p. C-21. “TV Sponsor Calls Singer To Apologize,” Washington Post, March 8, 1968, p. B-11. “Auto Aide Relieved in Belafonte Case,” New York Times, Monday, March 11, 1968, p. 82. Jack Gould, “TV: Petula Clark With a Network Hour of Her Own; She Sings ‘Downtown’ and Other Hits; Belafonte Joins Show on N.B.C. as Guest,” New York Times, Wednesday, April 3, 1968, p. 95. Barbara Delatiner, “Pet Clark Show an Anachronistic Triumph,”Newsday, April 3, 1968. Kay Gardella, “That Girl from England Stars in Stylish Special,” New York Daily News, April 3, 1968. Wade H. Mosby, “TV Puts Final Touch on Charm of Petula,” Milwaukee Journal, April 3, 1968. C. J. Skreen, “Pet Clark: A Charmer,” Seattle Times, April 3, 1968. Robert Windeler, “C.B.S. Will Seek to Add Negroes; Network Planning to Pay for New-Show Development,” New York Times, Friday, April 19, 1968, p. 95. Harry Belafonte, “Belafonte: ‘Look, They Tell Me, Don’t Rock the Boat’,” New York Times, Sunday, April 21, 1968, p. D-21. “Harry Belafonte ‘Speaking Freely’ Transcript,” First Amendment Center, Recorded, August 26, 2000, in Nashville, Tennessee. “Petula Clark” and “Harry Belafonte,” Wikipedia.org. Gail Lumet Buckley, “When a Kiss Is Not Just a Kiss,” New York Times, March 31, 1991. Interview with Petula Clark Show Producer/Director, Steve Binder, “40th Anniversary of Petula Clark-Harry Belafonte “Touch” Controversy,” TV Interviews Archive Blog, Wednesday, April 9, 2008. The Official Web Site of Petula Clark, Petula Clark.net. John J. O’ Connor, “Review/Television; For ‘Heat Of Night,’ A New Life,” New York Times, April 5, 1988. “A Sign of the Times: The Petula Clark Special with Harry Belafonte,” The Paley Center for Media, New York, NY, Monday, September 22, 2008. “Harry Belafonte with Petula Clark – ‘On The Path Of Glory’,” YouTube.com.